Bitcoin is a cryptocurrency and a digital payment system with 5.8 million users. In this blog post, you will learn how easy it is to build an Appery.io hybrid app to accept payments in bitcoins. It just takes a few simple steps to build the app and ready the payment ecosystem. First, you need to get a merchant sandbox account on the BitPay server at https://test.bitpay.com/get-started. There are other payment servers, but BitPay currently is the largest and oldest bitcoin payment processor in the world, serving industry-leading merchants on six continents. Next, Generate a BitPay API token with point-of-sale capability without client authentication at https://test.bitpay.com/api-tokens. With this done, get back to your app to set the token value. At this point, a distribution certificate should be associated with your app as described in https://docs.appery.io/docs/appexport-certificate-management. 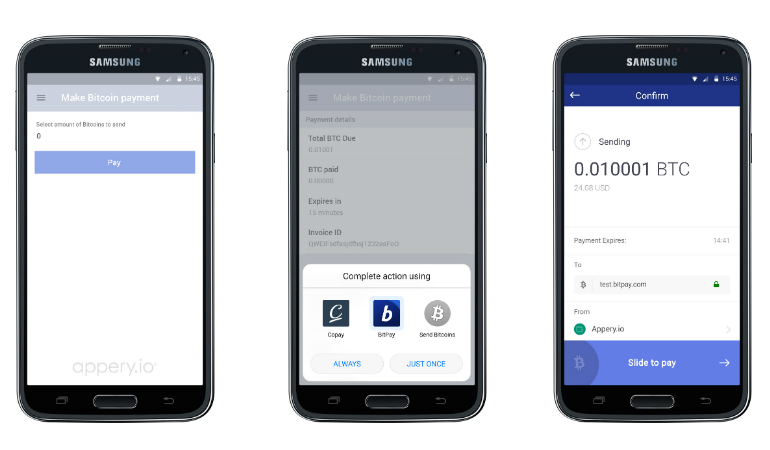 Finally, as a customer making purchases with BitPay App, you need a bitcoin wallet installed on your phone. A bitcoin wallet is an app that lets you receive, hold, and spend bitcoins. This list shows bitcoin wallets supported by BitPay. And, one more thing. After all of this is done, please make sure you switch to a merchant production account on the BitPay server at https://bitpay.com/get-started. That’s all. Now your app is ready to take bitcoin payments. Testing your mobile app is hard. You need to test the app UI (client) and app backend. 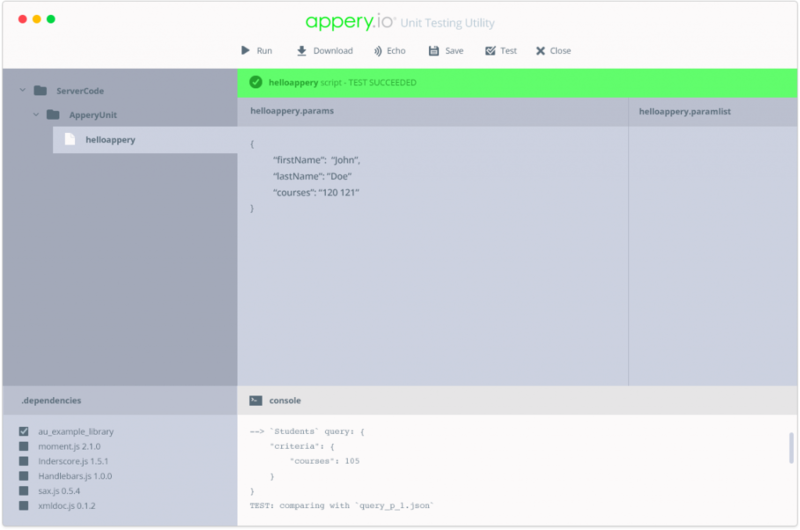 The Appery.io Services team has built hundreds of apps for our clients and to help testing the app backed has come up with a powerful testing approach and tool. In this blog post you will learn about this approach. It is common for a Server Code script to access and query the Appery.io Database. This tool gives the benefits of testing such scripts without impacting the database. On top of that, supporting data driven testing by this tool empowers streamlining resources for regression checking. In addition, the time-consuming database “dropping and recreating” is a thing of the past. The tool has a GUI and a set of shell scripts integrated with the Appery.io platform via REST API services. The testing preparation is as easy as preparing valid input parameters and verifiable output results. Once everything is configured, testing is started by clicking the Run button and can be completed as many times as necessary. Since all the communication is done using JSON format, updating input parameters and reviewing outputs can be easily done with a built-in text editor. Using this tool testing is done twice as fast. Right now this tool is used by the Appery.io Services team. If you would like to use it for testing with your Appery.io app or learn more, please email us. Appery.io has a lot of cool features for developing apps, but which parts of Appery.io help our Apppery.io Services customers the most? To figure this out, we have interviewed our customers to find what made them the happiest in getting work done on our platform using our services. Here’s what our customers singled out. Interviewees indicated that they benefited a lot from our scaleable pay-as-you-go approach. Many thousand-hour projects start with a single Advisory Pack or Flex Pack (five- or forty-hour assignments). After working with us, they become confident enough in our professional services to move forward with us even faster. (Some of our customers have said that acquiring professional services with us is like ordering food from a menu at a restaurant.) Of course, if five hours of help is all you need, we have you covered there, too. Because of the ease-of-use support built into the platform, our customers can do the initial prototyping themselves and seamlessly hand off the project to Appery’s professionals to finish. Our clients are excited to be able to to stay focused on the business requirements for their apps while leaving the challenging implementation details to us – all within the same development environment. Many of our customers mentioned the transparency aspects of the platform in getting the most out of Appery Services. Many people are used to sticking notes on their refrigerator, so they find our platform’s online collaboration board very easy to use. The board consists of three columns: “to-do”, “in progress” and “done”. Moving a note from one column to another represents a developer’s progress with the task. 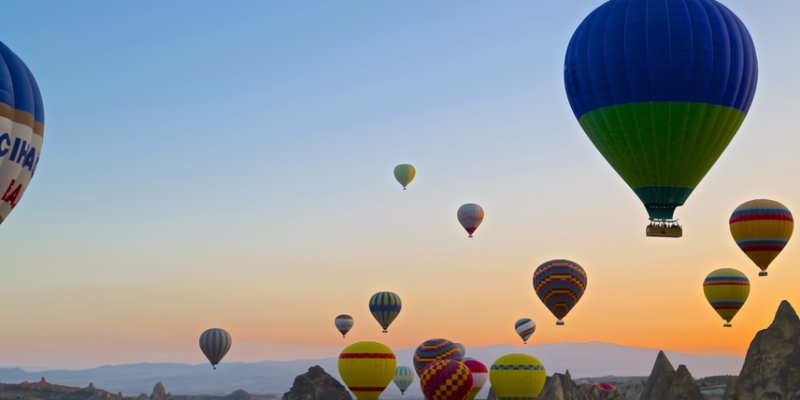 In addition to this, enterprises can benefit from sophisticated reports to track progress, identify potential bottlenecks, and determine future performance. More than 400,000 Appery.io customers already enjoy having the option to use our services to easily and efficiently augment their benefit from the platform. Join the club! Enkr8ia was formed with the purpose of developing technology to enable people to achieve their personal goals. The name is derived from the ancient Greek word “enkrateia” that stands for “In power of self”. Dyjit’s vision is to make life better by introducing digital experiences where they do not yet exist. 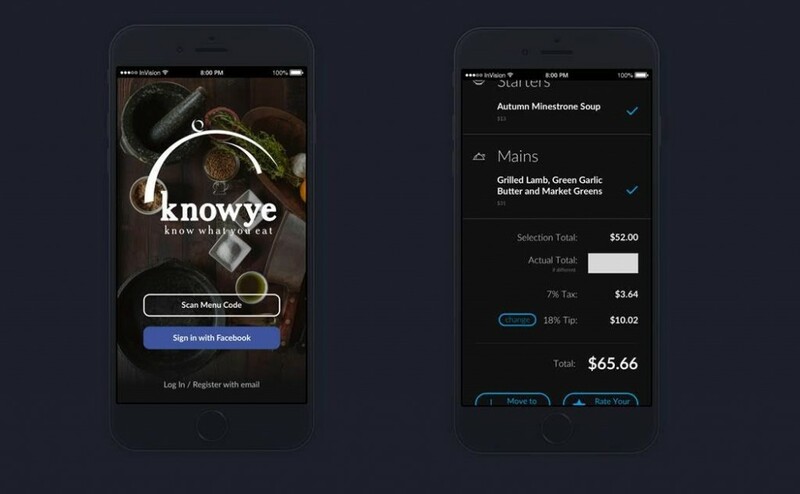 Dyjit’s first product, knowye (know what you eat), is a hospitality platform that transforms the traditional paper menu into a digital marketing channel and enables restaurants to cater and market to shifting consumer needs. Filter the menu to items that meet your preferences. For example, if you are a vegan or looking for a gluten-free dish, your personal menu with additional ingredient related details will be shown. Select items for your order. Estimate your bill, calculate the tip, split with your group. Add items to your wishlist or favorites. Keep your menu and selection history. The Dyjit team selected the Appery.io lowcode platform to build and launch their first mobile app. The Appery.io visual App Builder allows building the app UI 3-4 times faster than using traditional tools. The Appery.io platform also provides out-of-the-box, integrated backend services such as a cloud database, Server Code for app logic and Push Notifications. This means you don’t need to look for any other backend services and can build and test the entire app quickly and with less resources. The platform enables building a complete mobile app fast, without needing to have a traditional development team. The app UI was quickly built using the Appery.io App Builder for jQuery Mobile. On the backend, the app leverages the Appery.io Database and Server Code for custom app logic. Running the app on the Appery.io platform will enable the Dyjit team to easily scale the app to any number of backend API calls without lifting a finger. And that’s precisely the reason why the Dyjit team selected the Appery.io platform – it enables them to spend time building their product without worrying about app infrastructure and tooling. Knowye is available in the Apple and Android app stores and piloting at Heartland Brewery in New York’s Port Authority. Follow knowye’s progress on their Facebook page. It is safe to assume that you have experience this before. You go into a conference room to have an important phone call or meeting and someone is already sitting there. Someone is sitting there because your organization doesn’t have a conference room reservation software or even it it does have one, it’s so cumbersome to use, no one uses it. At Exadel, the parent company behind Appery.io, with over 800 employees and 7 worldwide offices – this was happening on daily basis. When you come to a conference room to have an important meeting and can’t use it, it causes confusion (if someone is already inside the room) you waste time and other resources. To solve this mandate problem, Exadel decided to build a mobile conference management app using the Appery.io platform and deploy it throughout its office worldwide. The app is called Conference Room Booking App. The app communicates with your Google Calendar via SOAP services and retrieves details about ongoing and upcoming events. In order to connect to an external SOAP service and expose it via RESTful APIs, the app uses Appery.io API Express. 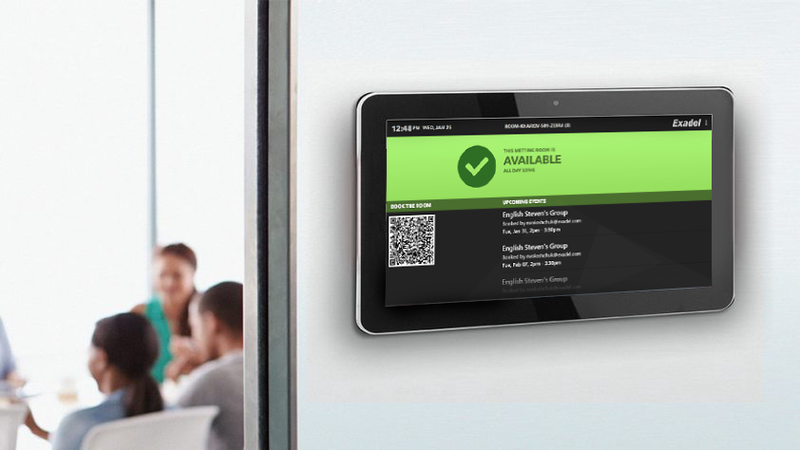 The app uses the Appery.io cloud database to store meeting information and conference room information and bookings. The app UI was built using Appery.io App Builder for Ionic. 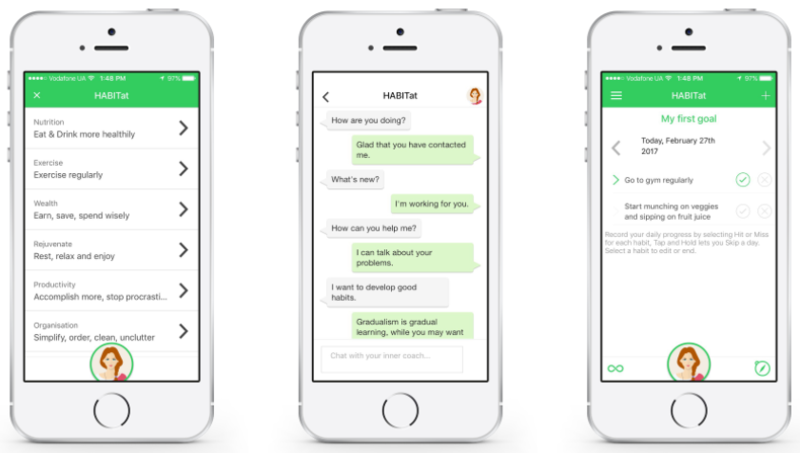 The complete app was designed, developed and tested in about 16 hours.